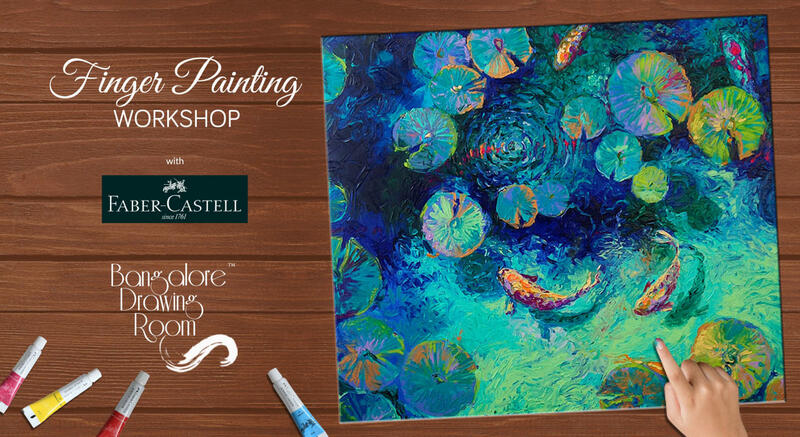 Ditch your brushes and enjoy at this finger-painting workshop, a great relaxation break! Watch your paintings flourish with life when you follow simple finger-painting techniques that let the paint do the work. Loosen up and get your hands dirty! (hand gloves from us) Unleash your creativity and create your very own masterpiece. The best part is, we have the best quality paints from Faber-Castell. Plus, you get to take home your creation. This will be a guided step by step workshop with instructions provided by our artist. While it is a relaxation exercise, finger painting is also known as a classic form of meditative "play" therapy. Ticket price is inclusive of all art supplies and refreshments. Punctuality is expected. **Ticket once booked, if cancelled 24 hours prior to the event, you are eligible for rescheduling and it is cancelled on the day of the event, rescheduling won't be applicable.